On April 19, 1993, 26 children were killed at the Branch Davidian compound near Waco, Texas, and still those responsible within the FBI remain at large. It was during this time President Clinton and the former Attorney General Janet Reno claimed, the federal government bears no responsibility for the deaths of the children at Waco. If so, then why has the federal government worked so hard to falsify the facts about what happened there? At the criminal trial of the Branch Davidians in 1994, that story fell apart. FBI Special Agent Jack Morrison said that he could see, through a hole created by a tank, somebody bent or kneeling by an overturned piano. The man appeared to be washing his hands, although the sniper admitted on cross-examination that he could not see the man’s hands. The fire did not erupt while the man was in the sniper’s sight, though the sniper did see a fire shortly thereafter. However, pictures of the progress of the fire show that the area near the overturned piano (the front door) was not a starting point for any fire. No fire appears there until several minutes after the sniper’s observation. Photographs show no fire in that area while much of the rest of the building was in flames. Attorney General Reno earned a congratulatory phone call from President Clinton the day after the fire because of her highly publicized acceptance of responsibility. She put the FBI in charge of investigating its own conduct at Waco. The resulting report was a sham and a cover-up. Although seven independent reviewers were appointed to examine the FBI report, the FBI withheld evidence from them, such as Branch Davidian leader David Koresh’s April 14, 1993 offer to surrender as soon as he completed his written interpretation of the Seven Seals from the Book of Revelation. The FBI lied to Janet Reno right from the start: they told her that CS chemical warfare agent is a mild irritant, even though much smaller doses than were used at Waco have killed children. On the day of the assault, the FBI flagrantly ignored her prior order to back off if there was any danger to the children. When she had initially rejected the FBI’s plan for a tank and chemical warfare assault on the Branch Davidians, the FBI told her that “Koresh was beating the babies.” In fact, FBI listening devices revealed no such thing. 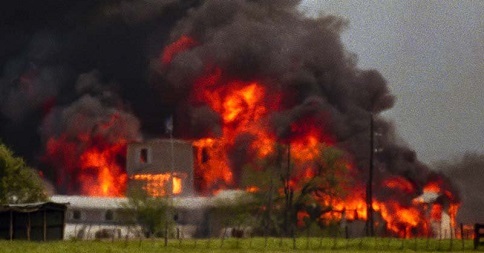 It is undisputed that while the FBI tanks were conducting the chemical warfare assault, the Branch Davidians spread kerosene in the building, intending to light it if the tanks entered the building. Starting a massive conflagration would have been consistent with Koresh’s apocalyptic interpretation of the Bible. However, if federal agents bear no responsibility for the start of the fire and for the deaths of 76 people, why has the FBI covered up so much evidence for so long? Recent revelations show that the FBI did fire pyrotechnic grenades — fully capable of starting a fire — during the attack on the Branch Davidian home. The FBI now claims that those grenades were launched six hours before the fire began. Yet if this “innocent” explanation is true, why did the FBI not tell the truth from the beginning? Even if one takes the current FBI explanation at face value, it shows the federal government’s horrible disregard for the children. Although CS chemical warfare agent is banned from international warfare by a treaty that the United States has signed, the FBI used it against children and babies, knowing that those innocents would be unprotected by gas masks, since their faces were too small to fit them. After the fire, the FBI bemoaned the failure of the Branch Davidians to take refuge in the underground tornado shelter, where the air remained cool and fresh. Yet the FBI now admits that the pyrotechnic grenades were launched at the very beginning of the assault as part of a systematic plan to keep anyone from fleeing to the shelter. 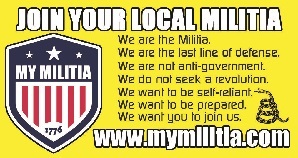 The federal Posse Comitatus Act forbids the use of the military for civilian law enforcement. Yet the Dallas Morning News reports that the U.S. Army’s Delta Force was “present, up front and close” on April 19, 1993. That revelation undermines earlier claims that only three Delta Force soldiers were at Waco in an “advisory” capacity. The government claims that the FBI never fired a single shot at Waco, yet an FBI aerial film appears to show the distinctive pattern of machine gun fire coming from government posts at the rear of the Branch Davidian compound — on the one side of the building that television cameras could not see. Could it be that Delta Force, and not the FBI, was doing the shooting — making claims that the FBI did not fire a single shot literally true? Congressional leaders held hearings, but the Waco hearings were a disaster, with Republicans looking for administration appointees to blame and paying little attention to the malfeasance of career federal agents. Meanwhile, Democrats such as then-Rep. Charles Schumer succeeded in diverting attention away from crimes committed by government employees and toward the statutory rapes that David Koresh had perpetrated earlier. Even now, it is unclear who killed the children of Waco. 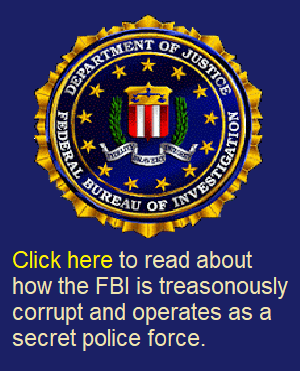 More than ever, though, the recent unveiling of more FBI lies underscores the fact that the children died because of willful and knowing actions by federal law enforcement. The FBI remain coldly indifferent to the 26 children at Waco. The day after the Waco fire, President Clinton said, “I do not think the United States government is responsible for the fact that a bunch of religious fanatics decided to kill themselves.” But the children didn’t kill themselves. If the president and his attorney general really care about those 26 children, they would of appointed outside investigators — not the FBI — to bring out the truth about what really happened on April 19, 1993. Branch Davidian, FBI, Federal Bureau of Investigation, Janet Reno, President Clinton. Bookmark.